Bryan Martyn grew up in Tempe and attended McClintock High School where he was active in student government and was a varsity athlete in baseball and football. He later earned a baseball scholarship to attend Arizona State University where he majored in Wildlife Biology. Following ASU, Bryan entered the US Army Helicopter Flight Training program where he graduated at the top of his flight class and was selected to fly the AH-64 Apache Attack Helicopter. While flying in the Army, Bryan served in Germany, Korea, Texas, and Alabama-completing combat tours in Iraq during Desert Storm and Bosnia. He was later hand-selected for an inter-service transfer from the Army to the United States Air Force to fly Special Operations helicopters. While flying in the USAF, Bryan served in New Mexico, England, and Arizona-completing multiple combat tours in Iraq, Afghanistan, and Africa. Bryan retired after more than 20 years of military service. Shortly following his retirement, Bryan was elected as a County Supervisor in Pinal County. 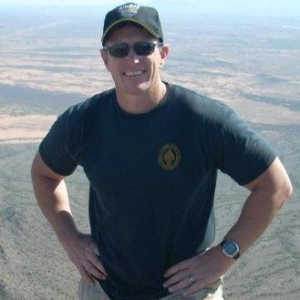 While serving as a County Supervisor, he was hired by the Arizona State Parks Board to serve as the Executive Director of Arizona State Parks. Bryan today owns a small consulting company with offices in Phoenix and Washington, DC. His firm focuses on veteran, military, environmental, and government policy issues.